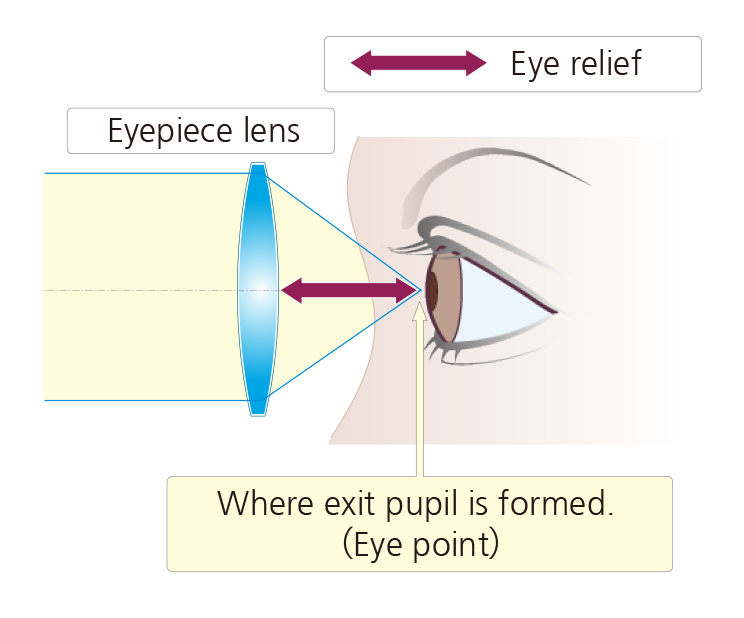 Eye relief is the distance from the outer surface of the eyepiece lens to the position where the exit pupil is formed (eyepoint). 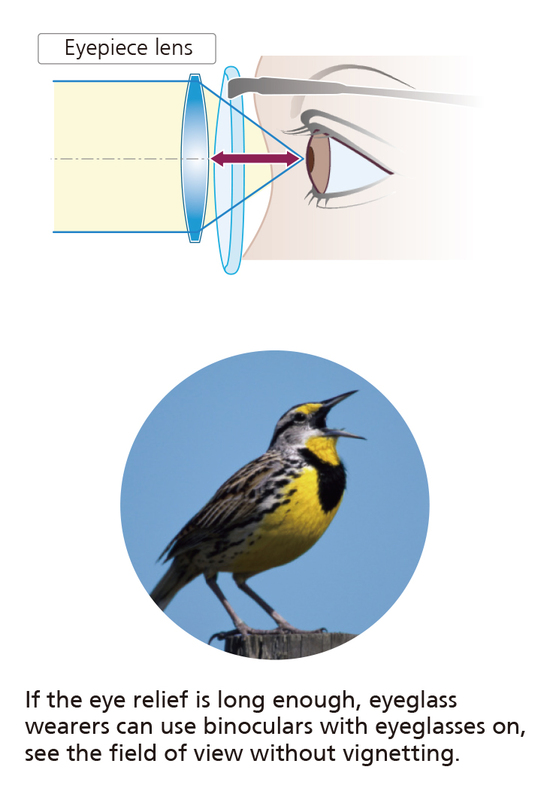 Looking through binoculars from the eyepoint, you can obtain the whole field of view without vignetting. 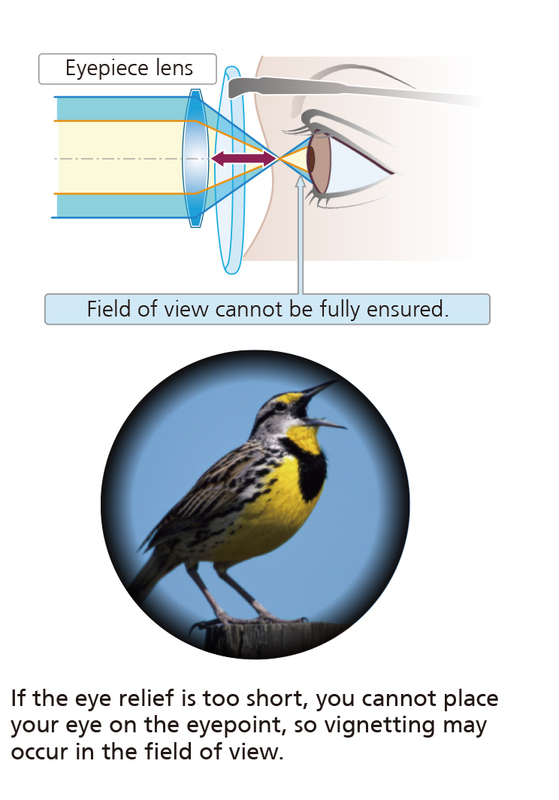 It is recommended for eyeglass wearers to use binoculars with a longer eye relief (high eyepoint).